Llandudno-based driver Matt Edwards clinched the Prestone MSA British Rally Championship finale to put the icing on the cake following his title win, sealed on the penultimate round earlier in the weekend at Dayinsure Wales Rally GB. 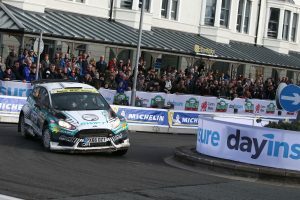 Edwards led an M-Sport one-two on the last BRC event of the 2018 campaign as Alex Laffey bought home his Ford Fiesta R5 into his best-ever result in Britain’s top flight with a fine second – a position he would also secure in the championship. Steve Rokland survived the demanding rally to bring his Peugeot 208 R2 into third overall and with it the Junior BRC title. After sealing the crown following the first round of the Dayinsure Wales Rally GB double-header, Pirelli-backed Edwards was let off the leash and set about climbing the overall WRC leaderboard to end the year on a high with a win. He enjoyed a day-long battle with Scotsman David Bogie in a DMACK Skoda Fabia R5 over the fast and flowing mid Wales stages. Coming into the final day of the season, Edwards trailed and had no answer for the Scot until a mistake by Bogie on Stage 20 handed the lead to the Welsh star. Along with fellow countryman Darren Garrod in the co-drivers seat, the pair notched up their fourth win of the season to top-off a stellar year in the championship’s 60th anniversary season. Following Edwards home in the rally and in the championship was Alex Laffey. He has made good progress this season, and proved consistency can build a title tilt. Despite not finishing the final round, David Bogie finished third in the series after clinching his first win of the season earlier in the event. In the Prestone MSA Motorsport News Junior BRC, Steve Rokland in his Michelin-shod Peugeot 208 R2 battled his way through the elements and rounded out his season in style by taking the final Junior win of the campaign as well as a third overall after the war of attrition in front of him. With his Championship success, Rokland’s prize is a test with the Hyundai Motorsport team in one of its latest R5 cars. James Williams took the title fight down to the last day, but try as he may, he had no answer for the flying Norwegian. The Vauxhall ADAM R2 driver finished second on the final round to cement the same position in the series. Irishman Kevin Horgan had a torrid first round in Wales but came back fighting in his Kumho-shod Skoda Fabia R2 to take his second podium of 2018 and with it, third in the Junior standings. Standout performances in the Welsh forests by Alex Waterman (Ford Fiesta R2T) and 2018 BRC Ladies Champion Nabila Tejpar earned them solid results in the Junior BRC and their first overall top ten points. Englishman Jordan Reynolds threw everything at the Cadet Cup on Wales Rally GB and secured two second place finishes on the final two rounds of the season. The Ford Fiesta R2 driver battled through blood, sweat and tears to seal the Cadet Cup and with it free entries into every BRC round in 2019. Johnnie Mulholand claimed his first Cadet Cup win on the final round of the year to underline his undoubted progression in Britain’s premier rallying series. 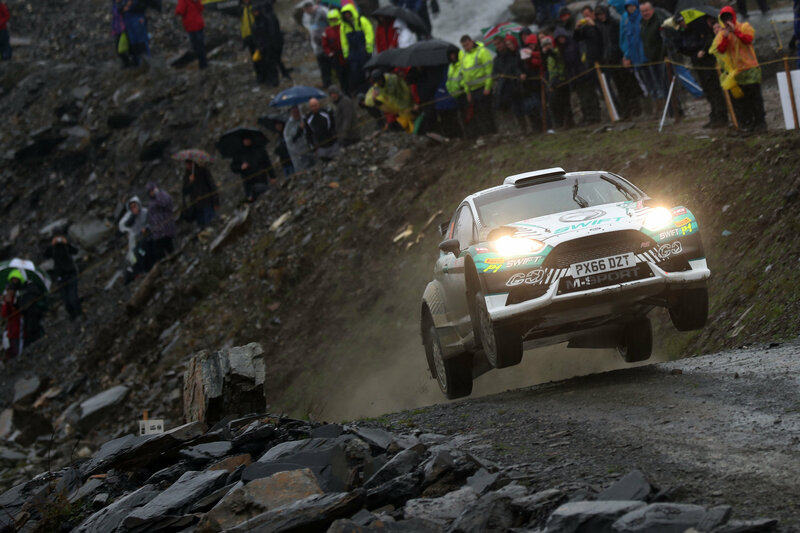 Bart Lang and Finlay Retson both endured a demanding Wales Rally GB and were pleased to get to the end of their first WRC event to round out the Cadet top four on the championship standings. In other news, Spencer Wilkinson and Glynn Thomas secured back-to-back Production Cup titles while John Morrison and Peter Carstairs enjoyed their Rally GB adventure on their way to the National Rally Cup. Matt Edwards said: “Today has been difficult as we didn’t start with a great feeling in the car. That was rare for me as the car has been great all weekend and I was trying lots of things to rectify it. We have learnt a lot this season to manage good and bad situations and it was great to come home with another win. “I really enjoyed the Great Orme stage and the home atmosphere, I really enjoyed it and it was great to see it packed with everyone enjoying themselves.